Alnico 5 staggered height pole pieces. 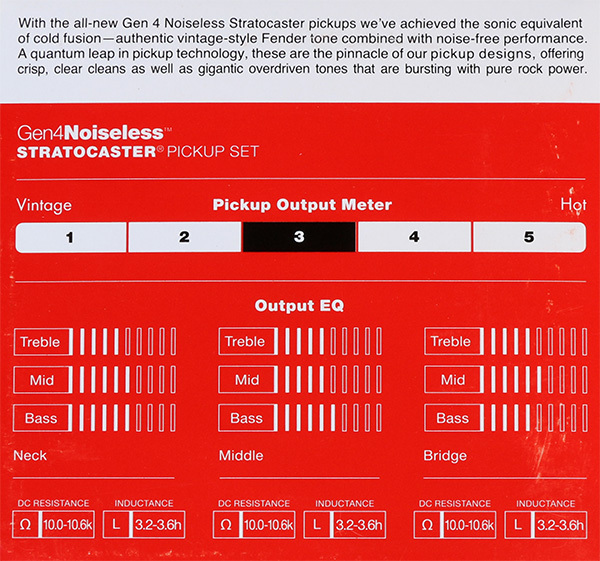 Includes 6 proprietary design Phillips round head mounting screws, 6 rubber surgical height adjustment tubing, aged white pickups and wiring diagram. 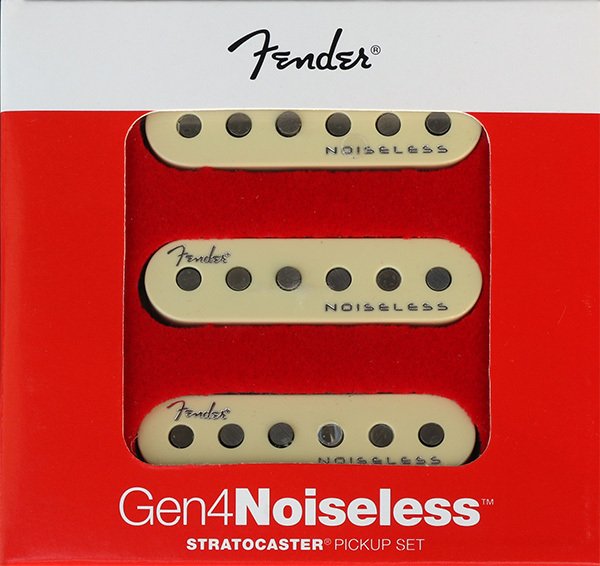 The Gen 4 Noiseless pickup set is only available in Aged White.